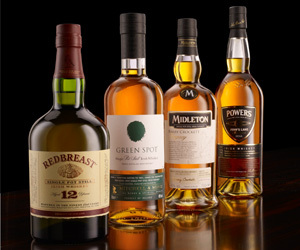 Usually, Irish whiskey is distilled three times, Scotch whisky is distilled twice and the American Bourbon only once. The major part of the malt whisky production is used in blends. Only a tiny proportion will be sold as “Single Malt” whisky. 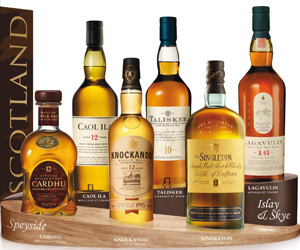 A blended Scotch whisky may include up to 50 grain and malt whiskies. 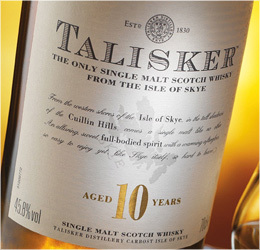 A blend is obtained by combination of 15 to 50 whiskies following a recipe kept secret by the distillery. A luxury blend mostly contains very old malt. 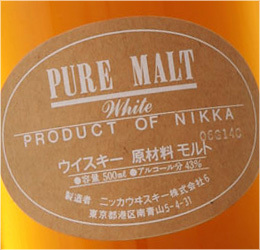 It is a blend of whiskies of various ages originating from the same distillery, without addition of grain whiskey. 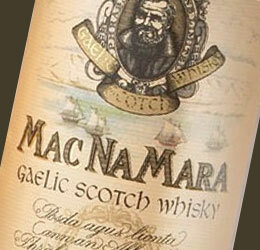 Single Malt refers to malt whisky originating from the same distillery.